We documented and measured several houses in Lifta with the help of “Maree Makom” project in Bezalel. 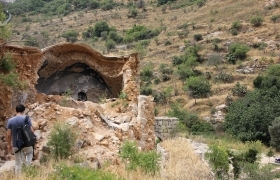 The documentation shows human activity which affects the village environment as well as changes caused by natural causes such as the weathering of buildings. Additionally, as part of our ongoing activities, we collect testimonies and historical stories about the village and about its former and present inhabitants.